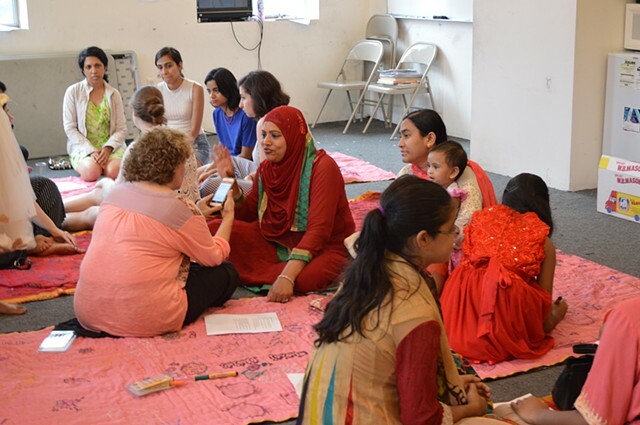 In AddaArt, approximately 20 women and girls gathered in a public school (PS 230) on May 14, 2016 to engage in intergenerational conversation about their histories and learn tools for creative expression of these stories. 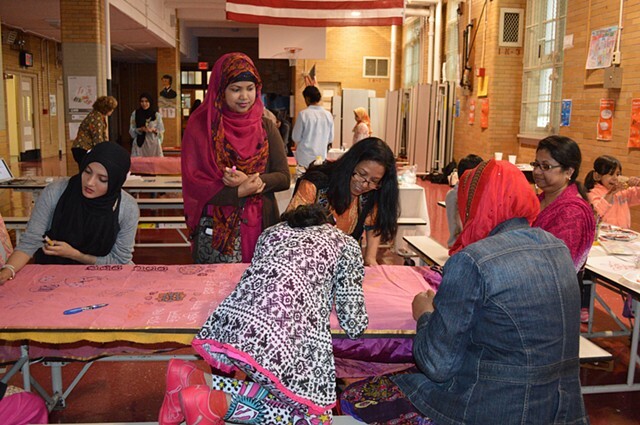 The participants started the process of designing and creating fabric "kantha" mats for lounging, sitting, and conversing in public places, such as the plazas and open spaces in Kensington. The fabric mats or kanthas are made with the participants own worn garments or bedding along with pieces of red and pink cotton sari from Bangladesh. The kantha mats include stitching, writing, woodblock printing, and painting. Two participants took the fabrics home to sew them into kanthas. The women learned tools for recording intergenerational conversations through the Storycorps App, which records and archives the conversations. 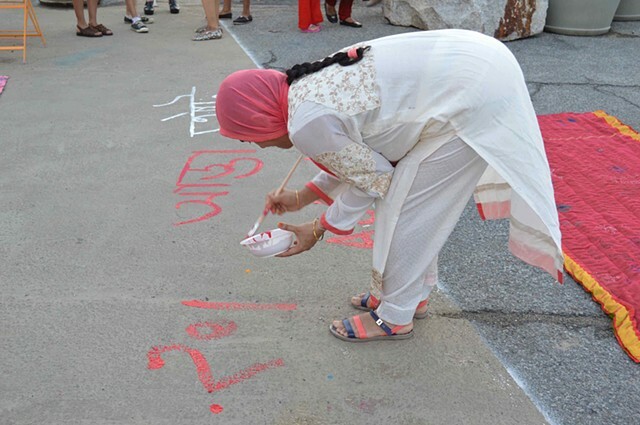 A public performance in July 2016 brought all the participants together at the Khan Academy and the Avenue C Plaza. 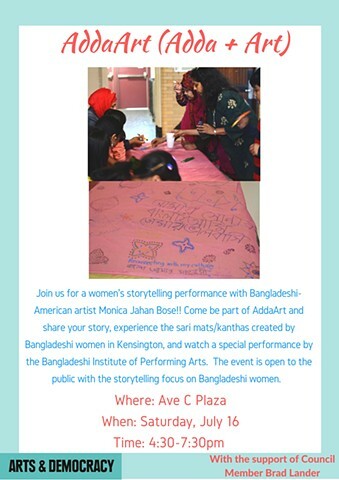 The event began with a dance performance by the Bangladesh Institute of Performing Arts. Next, the women engaged in adda on the kantha mats and conversations were recorded on the Storycorps app. The kantha mats were carried in a procession to the Avenue C Plaza, where the women claimed public space usually reserved for men. The kantha mats will be photographed to create a wraparound banner for the plaza.